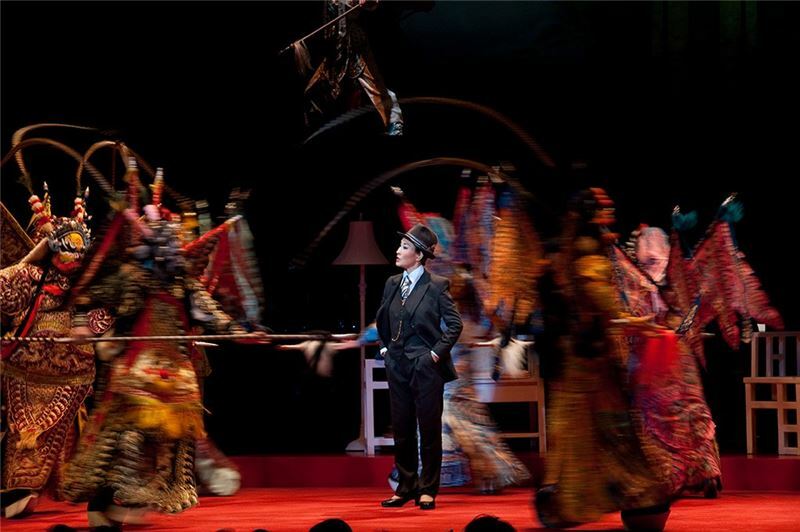 The Golden Cangue was named as one of the Ten Best Performance Arts Programs at the Fifth Taishin Arts Awards. 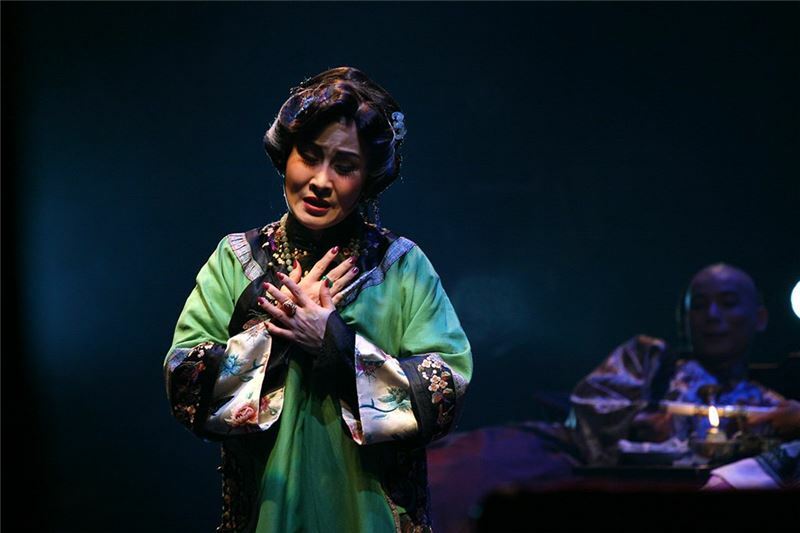 Critics also called it the ultimate divine performance of Wei Hai-ming, winner of the 2007 National Culture Award. 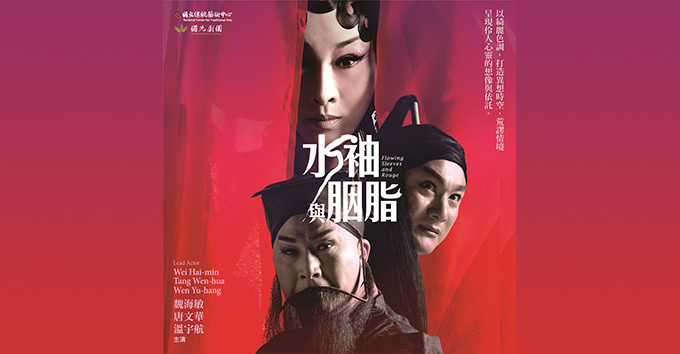 Wang An-chi and Zhao Xue-jun adapted the script from Eileen Chang's novella,"The Golden Cangue." 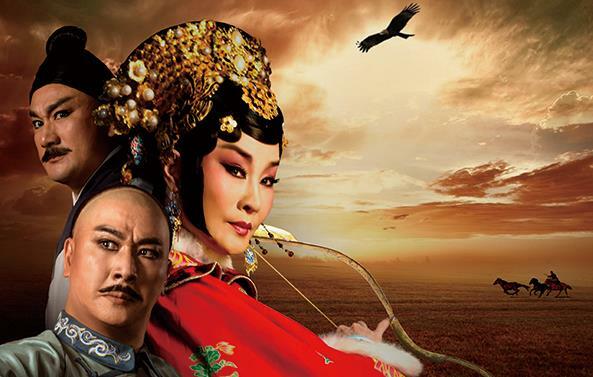 This is the first time Chang's work has been adapted into a Beijing Opera. 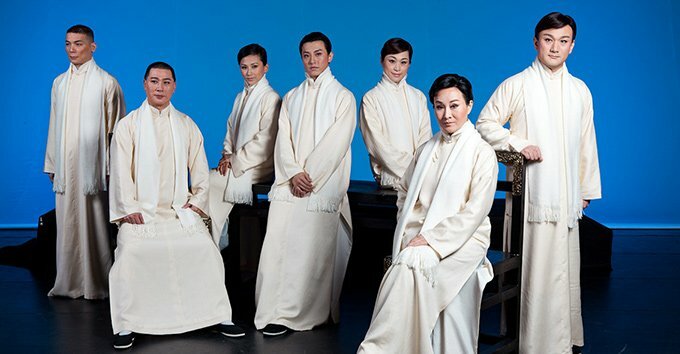 It has been widely acclaimed by audiences from China, Hong Kong, Singapore and Taiwan. The story presents the contorted mentality of Tsao Chi-chiao, highlighting events that illustrate how her body and freedom are imprisoned by the "golden cangue," that is, her husband's wealth. Her brother-in-law, Jize, sails in and out of her life, stirring up her desire, keeping her chained to a hopeless and unrequited love. 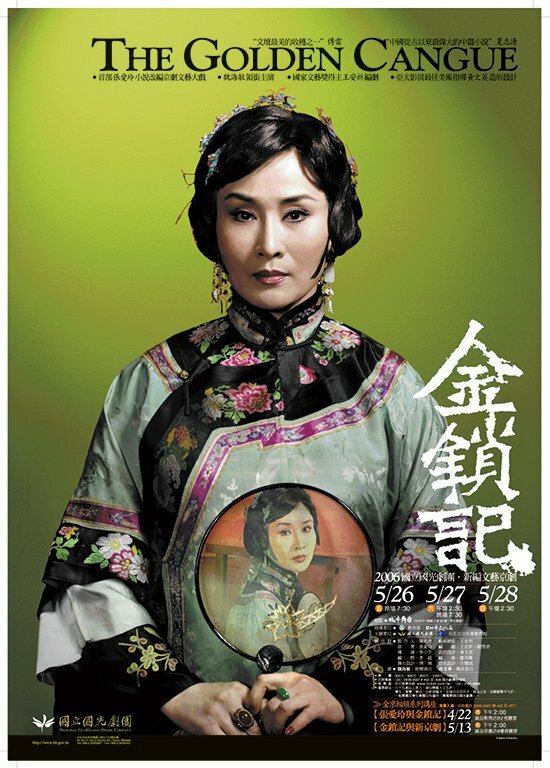 Liu, the herbal medicine shop clerk, often haunts her imagination, symbolizing the choice Chi-chiao has forever lost. The director Lee Hsiao-pin started to communicate with the playwrights from the inception of the play. Both director and playwrights complement each other in a most optimal way, by using techniques of interlacing the real and the fictitious, blending multiple space-time spheres, and reflecting the characters' entangled visions with a half-framed mirror on stage. 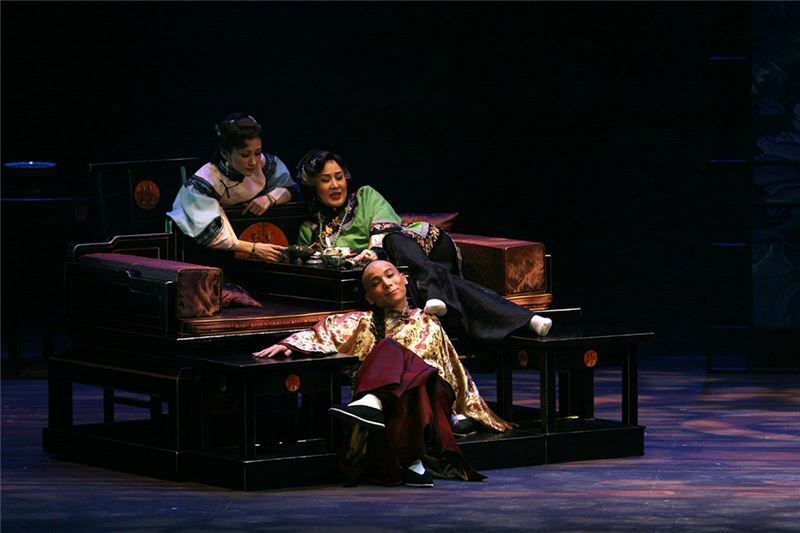 In the first scene of the third act, Chi-chiao is seen breaking her daughter's foot bones to bind her feet, revealing the abnormality and cruelty of humanity. 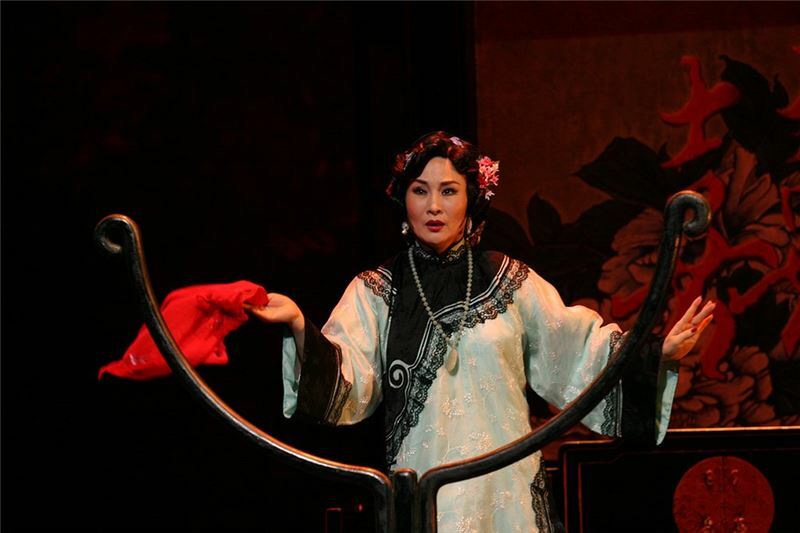 This is a challenge to the circuitous nature of traditional esthetics, making it a very innovative case in modern Beijing Opera. Today the number of：68人 / The total number of visitors：131,030人 / Last Updated：2019/04/19.